The CPS is prosecuting more hate crimes, more successfully and with more defendants pleading guilty than ever before. As the CPS publishes its Hate crimes and crimes against older people report 2010-11, the Director of Public Prosecutions, Keir Starmer QC, said: "All crime is unacceptable but offences that are driven by hostility or hatred based on personal characteristics are particularly damaging to any civilised society. "I am particularly pleased that the number of guilty pleas is increasing as this demonstrates that our prosecutors are building stronger cases. The increase in guilty pleas benefits the victims of these crimes, many of whom would find giving evidence a stressful ordeal. "Outcomes in cases of hate crime are continuing to improve. We should be proud of the work we have done to secure this significant increase but I am determined that we build on this success." 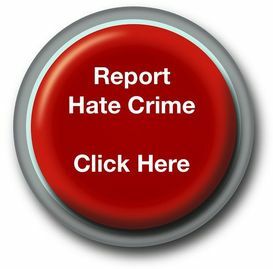 In 2008-09, there were 9,035 guilty pleas out of a total of 10,690 convictions and 13,030 prosecutions overall relating to hate crime. In 2009-10 this went up to 9,700 guilty pleas, 11,405 convictions and 13,921 prosecutions. In 2010-11 there were 10,823 guilty pleas out of 12,651 convictions and 15,284 prosecutions overall. The fourth annual report from the CPS has for the second time continued to include crimes against older people for analysis. Although there is no statutory definition of a crime against an older person, prosecutors are now able to identify these cases and analysis of these initial statistics show referrals from police have risen year on year and it is important we continue to monitor these offences. Mervyn Kohler, of Age UK said: "The rate of successful prosecutions involving crimes against older people is encouraging, and the process of identifying, recording and flagging a crime against an older person is robust. The escalating crime numbers are more likely to reflect the growing (and welcome) sophistication of the police and the CPS in this field, rather than signal a systemically ageist society." For the first time in this report, the CPS is also collecting religiously and racially aggravated crime separately with a view to providing a more detailed picture to the communities affected. Of the 12,711 race-related offences prosecuted in 2010-11, 83.1 per cent were successful. The CPS was successful in 472 out of 565 cases motivated by religious hatred, a success rate of 83.4 per cent. Mr Starmer said: "Last week, three men in Derby received prison sentences for stirring up hatred on the grounds of sexual orientation. This was the first case of its kind in British legal history and a significant step forward for us in protecting the LGBT community. "This report highlights a lot of the excellent work being done by our prosecutors across England and Wales, using whatever measures they can to ensure the victims in these cases are able to give their best evidence to the court. This can involve using intermediaries to help those who need them to communicate with the court, as well as other special measures. These special measures will now be the subject of a specific CPS research project to ensure we are using them fully and appropriately. "The CPS has an important part to play in tackling racism and religious hatred in our society and ignorance of disability, and I am encouraged by these statistics that we are on a firm footing to continue that fight. There is a lot more that needs to be done, within society as a whole, particularly in the area of crimes against the disabled community as I have already acknowledged." Stephen Brookes of the Disability Hate Crime Network said that any increase in the figures of prosecutions relating to disability hate crime were to be welcomed. He said: "We are pleased that improvements in confidence building, leading to disabled people reporting criminal acts, is in part arising from Hate Crime Scrutiny Panels which create the identification of local priorities in partnership with the CPS, police and other agencies. Our aim must be to ensure that the figures continue to improve."